Location, facilities, cleanliness, modern, comfortable. 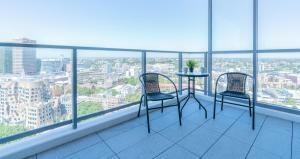 Lovely accommodation - extremely close to public transport & eating areas. Felt very safe in this part of Sydney. Great value for money!! Great location for Darling harbour, China town, Sydney Opera house and central station making getting anywhere in Sydney accessible. Paddys market was brilliant for souvenirs and gifts. Brilliant location for everything. The apartment was very comfortable and clean ideal for a family. 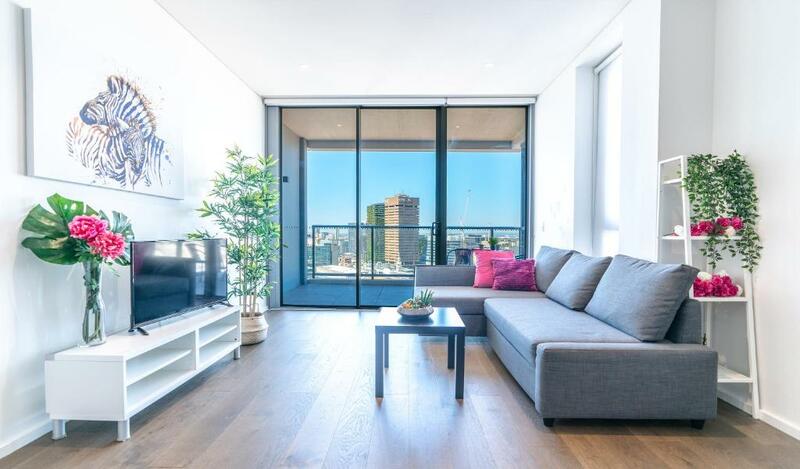 Lock in a great price for MD52 - Top Location Brand New Apt close to Darling Harbour – rated 9.4 by recent guests! 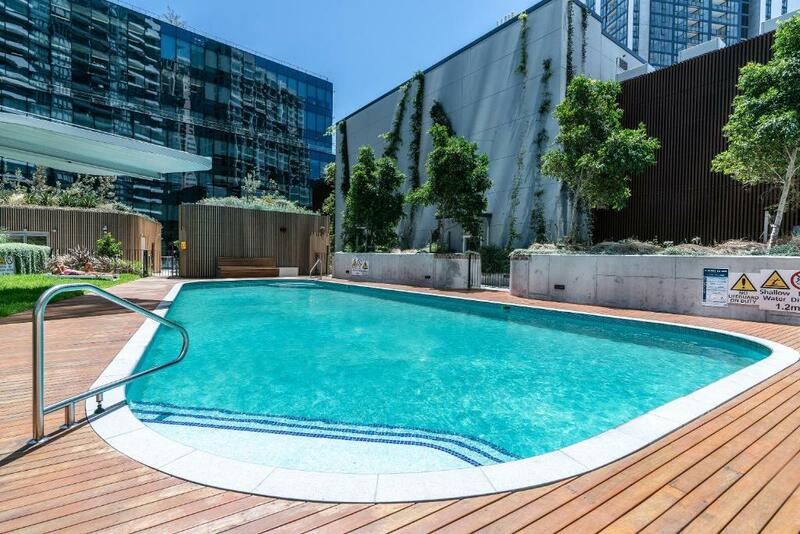 MD52 - Top Location Brand New Apt close to Darling Harbour This rating is a reflection of how the property compares to the industry standard when it comes to price, facilities and services available. It's based on a self-evaluation by the property. Use this rating to help choose your stay! 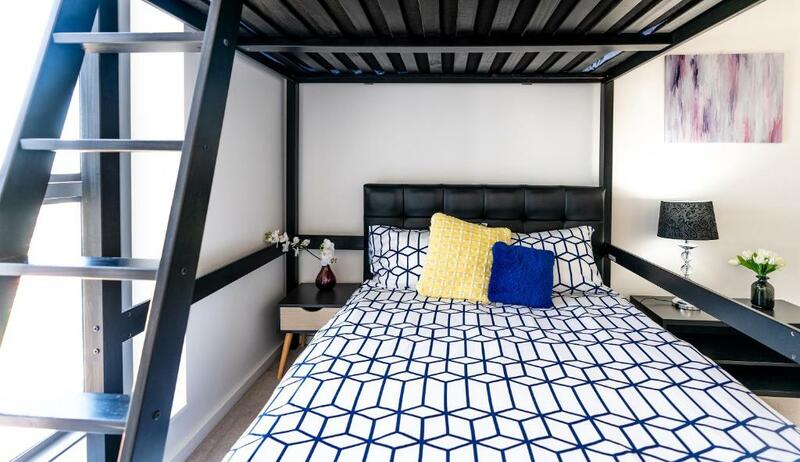 Located in Sydney in the New South Wales region, MD52 - Top Location Brand New Apt close to Darling Harbour is a 5-star property featuring free WiFi. 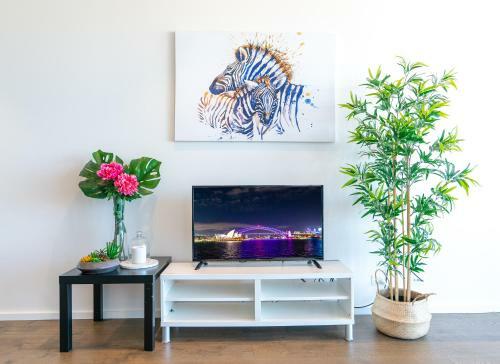 The property features city views and is an 18-minute walk from International Convention Centre Sydney and 1.1 miles from Australian National Maritime Museum. 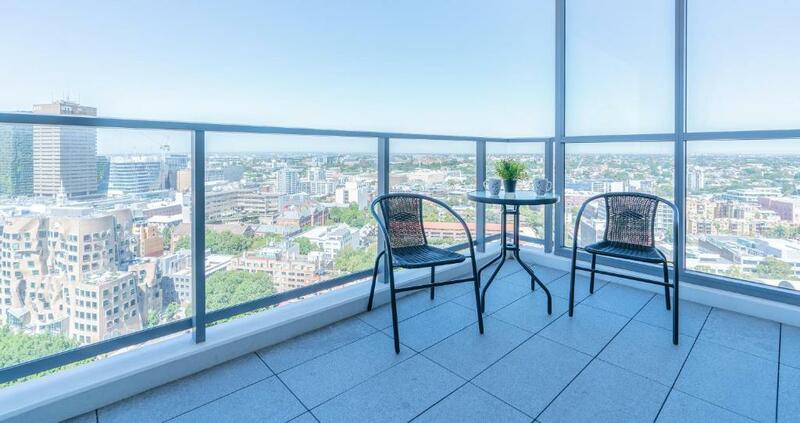 With direct access to a balcony, the air-conditioned apartment consists of a fully equipped kitchen and a flat-screen TV. 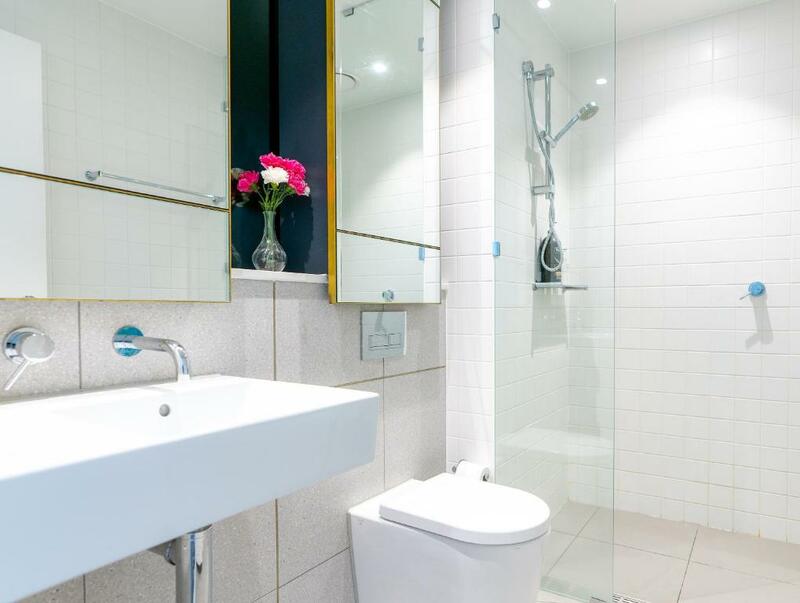 Featuring a shower and a washing machine, the bathroom also includes free toiletries and a hair dryer. The Star Event Centre is 1.2 miles from the apartment, while Allianz Stadium is 2 miles from the property. Kingsford Smith Airport is 5 miles away. When would you like to stay at MD52 - Top Location Brand New Apt close to Darling Harbour? House Rules MD52 - Top Location Brand New Apt close to Darling Harbour takes special requests – add in the next step! 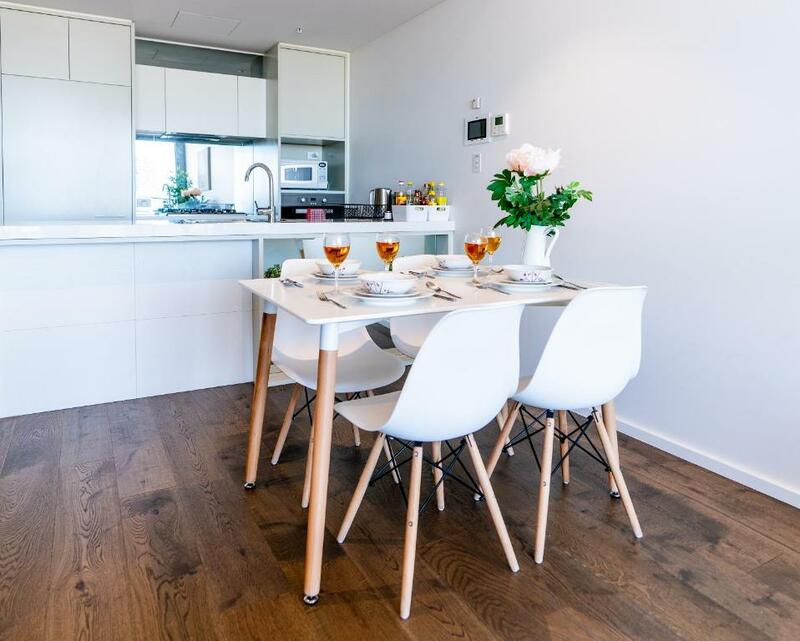 MD52 - Top Location Brand New Apt close to Darling Harbour accepts these cards and reserves the right to temporarily hold an amount prior to arrival. Please inform MD52 - Top Location Brand New Apt close to Darling Harbour of your expected arrival time in advance. You can use the Special Requests box when booking, or contact the property directly using the contact details in your confirmation. There was nothing to dislike with the apartment but one improvement would be to provide two keys with older children the youngest being 18 it was a bit restrictive having 1 key for 5 People. Kitchen could have had a better bin. That's about it!